From Debt to Abundance, you will conquer freedom. Eliminate debt now! You can find your way from debt to abundance. 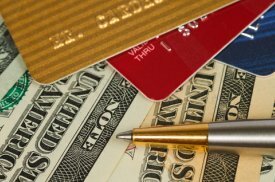 If you manage your finances correctly, debt can be avoided. 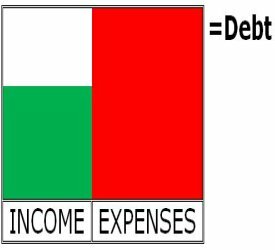 The reason why some are trap to debt, this is because of having a poor management decision in our income streams. Analyse your expenses and you might realize that some of it is not needed at all. Do not go beyond your income stream’s capacity because you will end up in loaning for extra money. Postpone your gratification for the meantime and persevere your way to abundance. It is better to put your money into investments wherein it can give you more cash flow. Whether you choose to be employed or have an entrepreneurial business, our main goal is to attain financial freedom wherein your money is working for you. We will retire young and our cash flow from our investments or businesses can sustain the lifestyle we’ve chosen. Remember that in investment, the minute you invest, your money should start growing. Therefore, think twice when spending your money for unnecessary expenses because there is a right time to splurge in our wants. When is the right time? When your passive income is stable enough to sustain the lifestyle you’ve chosen. It is better to avoid loans because it might put you into debt. You can leverage loan into business. You may borrow money to put into the business so that it can earn and compensate the loan’s interest plus you can have some profit also. Credit cards are a good example of a loan. Credit cards can be useful if you use it properly. The idea of the card is for you to transact without carrying cash in your pocket for security purposes. Before swiping the card, make sure that you have the cash to pay for it on the given deadline or else, the interest will grow and you have to pay for it. The item or service you purchased may double with poor money management decision. There are some cases that the price of the item or service is different when you pay it in cash. If that is the scenario, the difference in amount when paying in cash, consider it as an interest. Better to pay in cash or swipe your card as long as the price is the same in cash basis. Your way from debt to abundance is within your capacity to control your finances. You can do it. Return from Debt to Abundance to Financial Freedom Page. Debt to Prosperity! The Answer to debt is here. Start saving and have a business. Advancement is the solution for debt to prosperity. Innovate your resources and allow the money work for you. Equip yourself with financial literacy to keep you going. Be keen on opportunities. Road to Prosperity will start on your Dream Board. Keep the desires burning! Debt to Abundance! Plan your road to prosperity. Your long term and short term goals will show you the way towards abundance. Shift your mindset that your dreams can come true. Start moving now and be surprised! Your Abundance from Home is here! Those burning desires will lead to your goals. Increase your income stream thru abundance from home. Plan an early retirement to enjoy your life to the fullest. We can learn on how to make money easily. The business venture of your life is here.